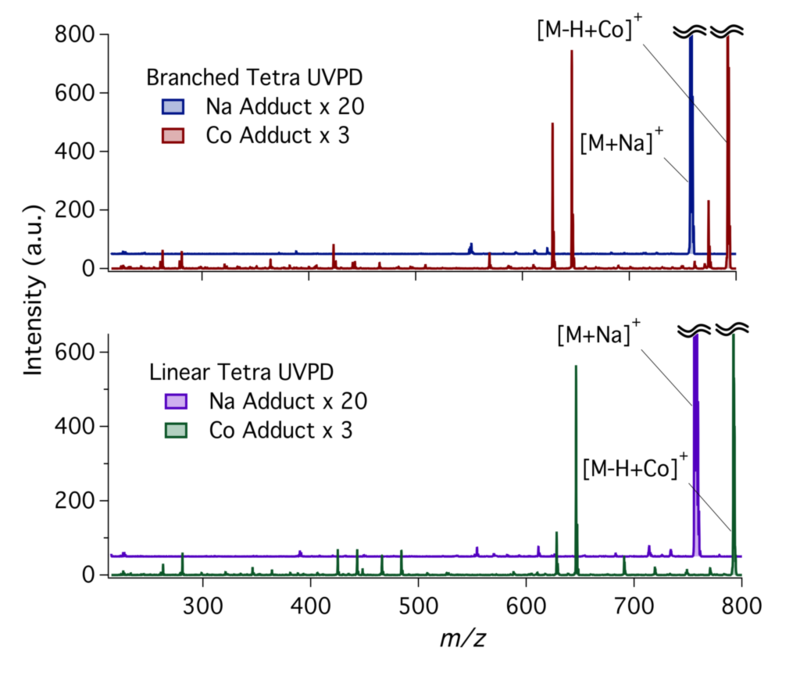 Ultraviolet photodissociation (UVPD) has had its application directed primarily at biomolecule analysis, but with a common drawback of low fragment abundances. We encountered this same problem with UVPD of two sodiated isomeric glycans, but found a significantly higher fragment yield from the cobalt adducts of those same tetrasaccharides. An additional bonus was that the cobalt adduction increased the resolution of the isomers from no discernible mobility separation as sodium adducts to a resolution of 0.78. This allowed us to use UVPD for fragmenting a mobility separated mixture of the two glycans, which benefited from the higher fragment yield of the cobalt adducts.